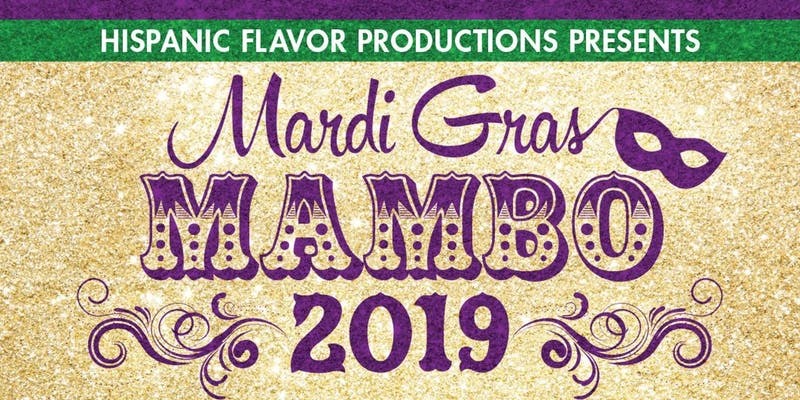 Hispanic Flavor Productions proudly announces Mr. Darren Mire and Mrs. Mayra Pineda as its King and Queen of Mardi Gras Mambo 2019. The carnival party will take place on Friday, February 22 from 6:30pm to 11pm, at the New Orleans Jazz Museum at the Old U.S. Mint in New Orleans. The evening will include live music and surprise performances highlighting the rhythms of Carnival in Latin America and New Orleans. Tickets include admission to the party, the exhibits, food and open bar. Elegant but comfortable attire is suggested, and masks encouraged. Tickets are available now with no extra fees at Eventbrite.com by searching Mardi Gras Mambo 2019. Tickets are $50 and $60 at the door. Due to the space available at the museum, there will be no tables. Seating will be available and some high top tables. For tickets or sponsorship opportunities please call 504-615-9070.